DALLAS, TEXAS – August 31, 2015 – DUALAMS, Inc. is pleased to announce that the company was accepted to the 2015 class of Health Wildcatters, a leading healthcare startup accelerator program located in Dallas, Texas. DUALAMS has developed a medical device that eliminates the painful experience and resulting complications for patients when they undergo examination of their larynx and/or laryngeal anatomy. DUALAMS joins a class of nine other companies in Health Wildcatters program, which commenced on August 24. The program, now in its third year, will culminate on November 12 at a “Pitch Day” at the Majestic Theater in Dallas, where the teams will present their company pitches to investors and the Dallas community. 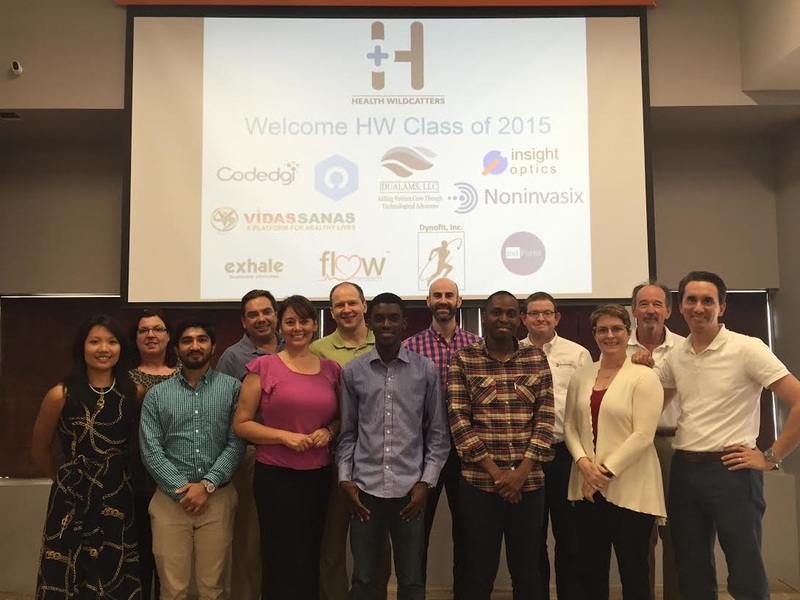 Health Wildcatters alumni from the previous two classes received more than $10 million in funding from investors following the program, and are now collectively valued at more than $100 million. DUALAMS, which stands for Directed, Ultrasonic Application of Local Anesthetic Medical System, has a patent-pending system that delivers nebulized lidocaine, a local anesthetic agent, to the vocal process prior to laryngoscopic examinations. This system eliminates the common complications of laryngoscopic examinations, including reflex gagging, coughing, aspiration bucking and laryngospasm. For more information on DUALAMS visit DUALAMS.com. More information on Health Wildcatters can be found at healthwildcatters.com. DUALAMS, Inc. is committed to easing patient pre- and post operative experience through technological innovation. The DUALAMS system eliminates the painful experience and resulting complications for patients when they undergo examination of their larynx and/or laryngeal anatomy. The company was founded in 2012 in Dallas, Texas. More information on DUALAMS can be found at DUALAMS.com. Follow the company on Twitter [@TwitterHandle], Facebook at facebook.com/[companyname] and LinkedIn at linkedin.com/[companyname].